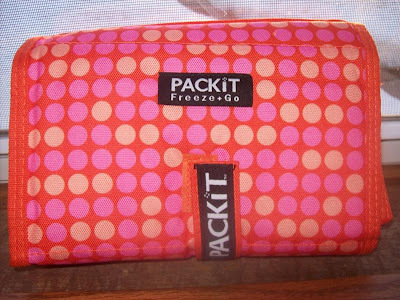 Packit is a freezable lunch bag that will keep your food cold for hours. I love the color! It is a mixture of shades of orange and pink...so cute! See below. The lunch bag really does keep your food cold. This bag retails for $19.99 and comes in a variety of colors. I pack my lunch every single day for work so this will definitely come in handy for me! Here is some information about the product: "We are PackIt. 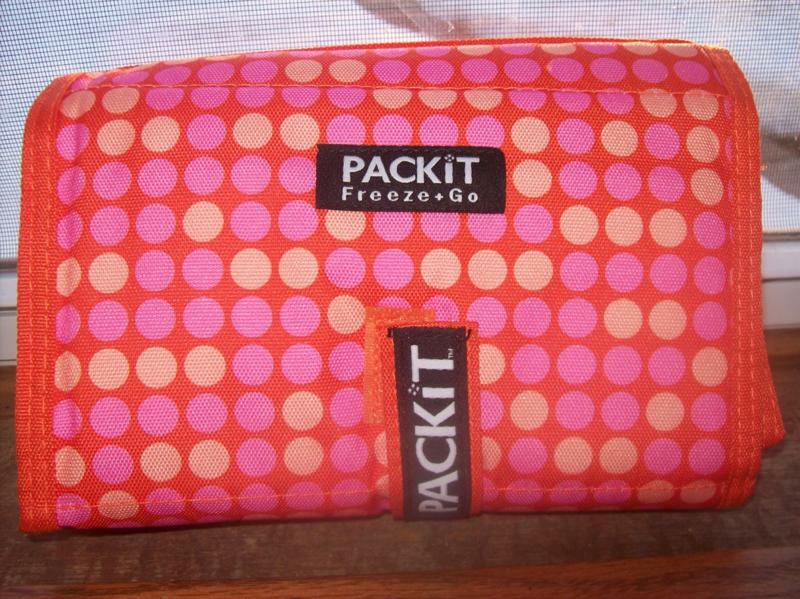 Created by moms for moms PackIt is a new innovative line of lunch bags offering the coolest new way to keep things cold.....very cold! Finally the solution to eating healthy on the go!! The gel is actually integrated into the liner of the bag. Simply fold the bags and store them in the freezer until needed, pull them out, PackIt and GO! They keep food or drinks cold for up to 10 hours without added ice or gel packs! You can actually put a room temperature item in the bag and within the first hour it will drop the temp of the item 24 degrees! Actually "creating cold"! We go above and beyond just being a reusable bag! Because PackIt’s cooling system keeps food cold all day long, uneaten food comes home still fresh and goes back into the refrigerator. Reducing waste and saving you money!" Another thing that I like about this bag is that it can fold up to fit in your freezer easily and then expands to fit a good size lunch. Thanks Packit for contacting me about reviewing your product, I am glad that you did! UPDATED 10/9/11: In the last month, I have been taking this lunch bag to work every single day. To be honest, it really has not been keeping my food cold. I leave for work at about 6:30 AM and eat around noon and my lunch is never cold. I would compare this lunch bag to other bags. If you have a refrigerator at work to put this in, obviously then it would keep the food cold. I will continue to use the bag because it is better than others that I have but would not give my highest recommendations. ***Want to read more reviews and learn about nutrition? Subscribe to The Nutritionist Reviews via Facebook or Twitter. Your newest follower from Tuesday's Blog Hop. not much reviewing going on here. I an guessing you liked it? Looks more like a promotion than a review. 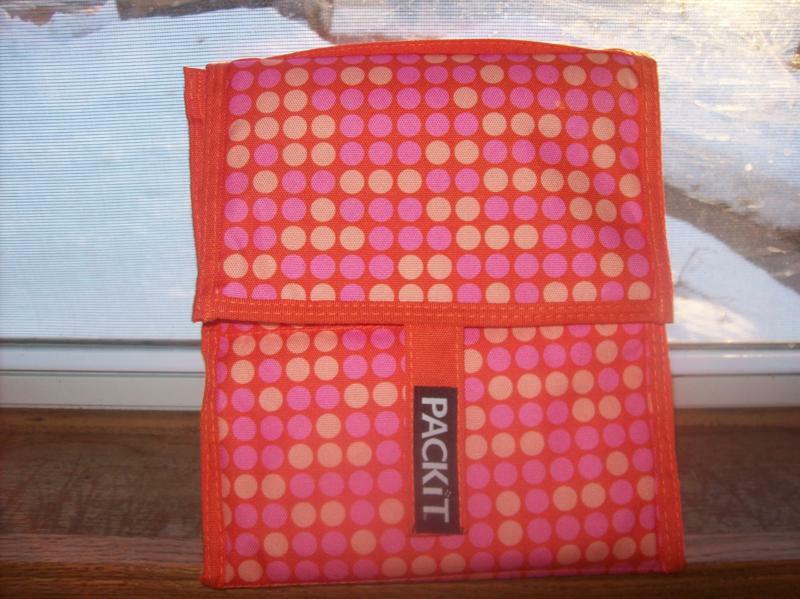 As I already said, I love the color and it will come in handy for packing my lunches for work! does it really stay cold for at least 6 hours? I read one post that said it gets wet when the defrosting starts. Is this a problem? I have not had a problem with it getting wet. Thank You for updating on this bag, I was about to purchase one.